Who are we, really? In The Ecology of Consciousness, an elder pioneer in the field of consciousness studies—well known for his groundbreaking psychedelic research with Ram Dass and Timothy Leary at Harvard in the early 1960s—presents an expansive work culminating decades of experiential research in Eastern philosophy, shamanism, and more—to guide you along the path of true consciousness and transformation. In presenting this work, I want to express my gratitude and appreciation to the fellow explorers, students, and friends with whom I have had the privilege of collaboratively exploring these realms of consciousness that go far beyond what our modern worldview regards as real or possible. Questions surrounding consciousness have intrigued humankind throughout time, and have been addressed through a wide range of perspectives and traditions. From age-old philosophies to New Age spirituality, consciousness—and its various forms—has been the topic of much contemplation. This unique book is a comprehensive exploration that covers a wide range of disciplines and subjects within the framework of psycho-spiritual and consciousness studies. 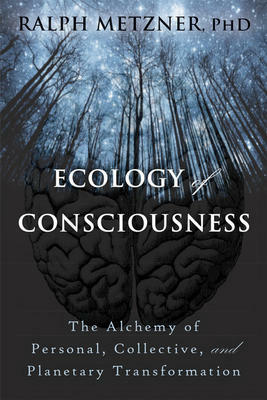 The Ecology of Consciousness revives ancient alchemic knowledge, spiritual traditions, and thoughtful theories about consciousness—drawing on ancient Eastern philosophy, shamanism, mythology, and other sources, and covering topics such as personal growth and reincarnation—to give you an expansive foundation for self-inquiry and transformation. This book will give you a deeper understanding of consciousness, show you how to access your own spiritual intelligence, teach you about shamanic, alchemic, and divinatory traditions and connect them to healing practices of today. With this consciousness-expanding book, you’ll explore the human life cycle from a spiritual perspective, reflect on your own personal journey, and discover which pathway guides your life purpose for your ultimate fulfillment, growth, and well-being. Some of the text in this book was previously published in a series of six small books, over the years 2008 to 2013. That text has been extensively revised, corrected, updated, and reorganized in Ecology of Consciousness. Who are we, really? In The Ecology of Consciousness , a Harvard scholar and pioneer in the field of consciousness studies—well known for his groundbreaking psychedelic research with Ram Dass and Timothy Leary—presents an expansive work culminating decades of research in Eastern philosophy, shamanism, and more to guide you along the path of true consciousness and transformation. Questions surrounding consciousness have intrigued humankind throughout time, and have been addressed through a wide range of perspectives and traditions. From age-old philosophies to New Age spirituality, consciousness—and its various forms—has been the topic of much contemplation. This unique book is a comprehensive exploration that covers a wide range of disciplines and subjects within the framework of psychospiritual and consciousness studies. The Ecology of Consciousness revives ancient alchemic knowledge, spiritual traditions, and thoughtful theories about consciousness—drawing on ancient Eastern philosophy, shamanism, mythology, and others sources, and covering topics such as personal growth and reincarnation—to give you an expansive foundation for self-inquiry and transformation. Written by a leading authority, this book will give you a deeper understanding of consciousness, show you how to access your own spiritual intelligence, teach you about shamanic and alchemic traditions and connect them to healing practices of today. With this consciousness-expanding book, you'll explore the human life cycle from a spiritual perspective, reflect on your own personal journey, and discover which pathway guides your life purpose for your ultimate fulfillment, growth, and well-being.